At the Portland Group, (TPG), we know how exciting renovating or building a bathroom can be. While it’s fun to anticipate a new room in the house, a client must make a large number of decisions in order to make a project like this successful. Style, function and budget are major considerations clients have to think about when creating a new bathroom. After all, nobody wants to make a costly mistake. 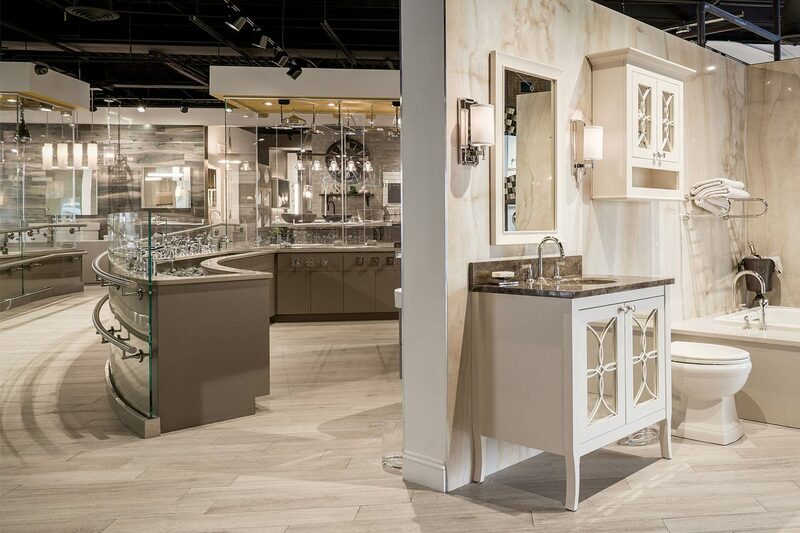 Because TPG has both showrooms and plumbing supplies in one place, it’s easy for a client to see a full range of products, and for a plumber to not only be able to see the products, but easily purchase them. In fact, many clients shop with their plumbers to ensure that the correct product is purchased and no time is wasted. (It’s common for a client to “fall in love” with a sink that’s incompatible with their plumbing, so t’s smart and time saving to find out before it’s purchased). All of TPG’s showrooms have friendly, knowledgeable customer service representatives who are thoroughly educated on all the products they carry. This can really make a difference, since they can show both client and plumber the enormous array of its innovative products from around the globe — giving a homeowner — options they may have never considered. The convenience of the showroom/warehouse can make renovating or building a new bathroom easy and enjoyable. Which is what TPG thinks it should be.